We have all heard of ethanol, somehow, somewhere. But what is it, exactly? How is it used? And most importantly – how can ethanol be dangerous in the workplace and beyond? 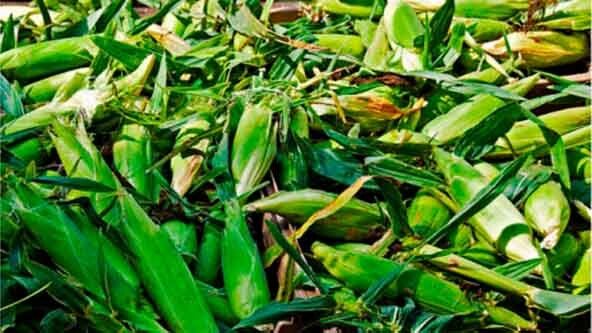 In this information post from the experts at MSDSonline, we’ll take a look at what ethanol is, how this chemical is traditionally used, and the safety precautions needed to handle this substance safely. What Is Ethanol and how is It Dangerous? Ethanol is a colorless, volatile and highly flammable liquid that has a slight odor. Ethanol has been around for centuries, having been discovered as a by-product of fermentation for alcohol. Ethanol is part of the hydroxyl group, which makes it a substructure of the water molecule. Because of its incredible versatility, ethanol mixes very well with other solvents and water, as well as chlorides and hydrocarbons. Being this versatile, ethanol is used for a great many things – but it can also be quite dangerous. The most common blend of ethanol is E85, which is comprised of 85 percent denatured ethanol fuel and 15 percent gasoline or other hydrocarbons. Where is Ethanol used in the Home or Workplace? Even though ethanol is very commonly used, it is a dangerous chemical. As previously mentioned, it is highly flammable; as such, it has exact flash points which are important to know when using it. While ethanol is consumed when drinking alcoholic beverages, consuming ethanol alone can cause coma and death. Ethanol may also be a carcinogenic; studies are still being done to determine this. However, ethanol is a toxic chemical and should be treated and handled as such, whether at work or in the home. Inhalation – if you are exposed to ethanol vapors, move to a well-ventilated area to access fresh air. Contact emergency medical personnel for further assistance. Skin contact – should ethanol come into contact with your skin, gently wash the area with warm water and soap. If the skin is still irritated, seek medical assistance for further treatment. Contact with eyes – if ethanol splashes into your eyes, find a flush station and flush eyes for at least 15 minutes. Contact emergency medical personnel. Ingestion – lay down and contact emergency medical personnel immediately. Do not induce vomiting as it can create more damage. Do not drink anything else. Ethanol is a corrosive substance. If you need to store it, make sure the piping and container are not susceptible to the corrosion ethanol can cause. The most recommended containers are those made of stainless steel when storing ethanol. Tanks need to have secondary containment, be fire rated and impact resistant, the same as those for gasoline storage. Underground ethanol tanks cannot be placed anywhere near water, and the preference is to have any ethanol storage tank above ground. Ethanol is very prevalent. If you find yourself coming into direct contact, either through employment or home use, take the proper steps to maintain your personal safety. Follow all procedural steps and take care to wear the proper gear – just because it's common doesn’t mean it can’t be very dangerous. If you’re searching for ethanol MSDS information, you’ve come to the right place. Signup for a 30-day trial of MSDSonline.com’s industry leading safety services or browse our inventory of MSDS resources here.